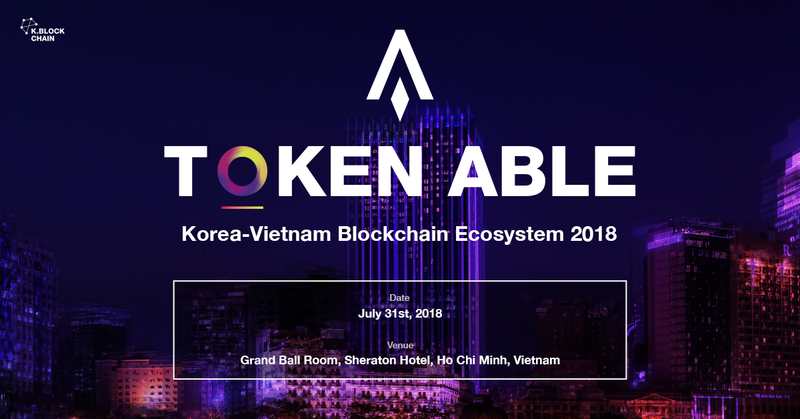 K-Blockchain is leading a conference in Vietnam, with many partners from around the world. The conference will be about the ecosystem of blockchain among Korea and Vietnam, searching for the accelaration of the blockchain industry with the cooperation of both countries. 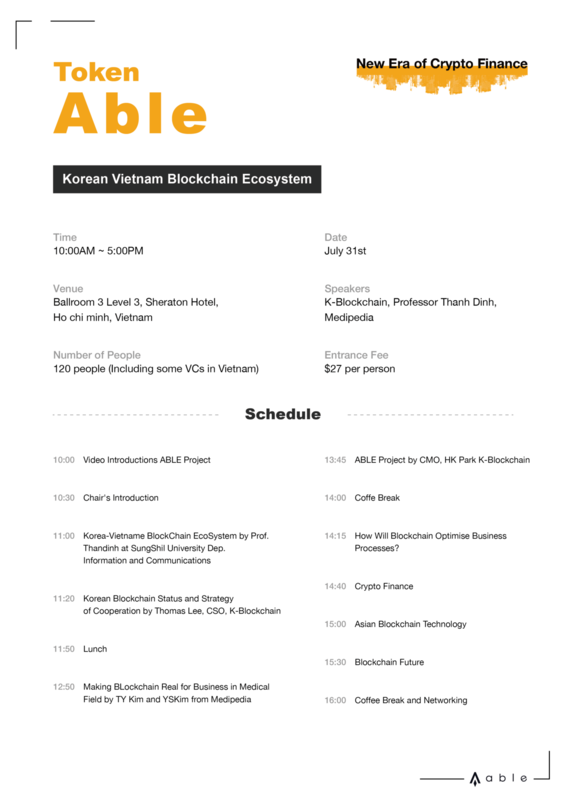 Speakers include CSO of the ABLE Project, Professor Thanh Dinh from Soongsil University, Medipedia, and many more. The conference provides listeners newest information of the blockchain ecosystem, explaining the past, present, and future of the crypto market. VC’s from Vietnam will be joining the conference as well, providing busniness opportunities for everyone joining the conference. Lunch, Coffee breaks, and Networking periods will also be provided. How Will Blockchain Optimise Business Processes? More partners, speakers, sponsors will be added and updated!